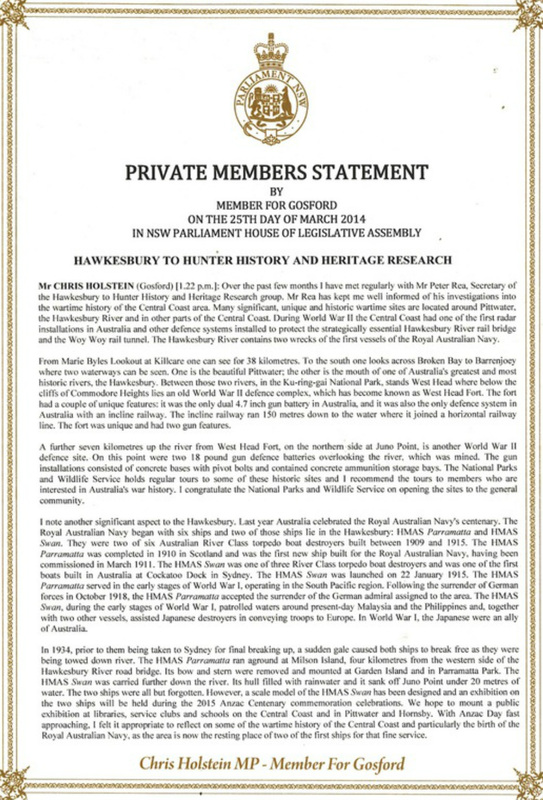 4HR (History & Heritage Hunter to Hawkesbury Research) researches history with the aim of bringing this information to the public. The main focus is on local history, however, national and international subjects are also covered. The main area of interest is the coastal region of New South Wales between the Hawkesbury River, 33 kms north of Sydney and the Hunter River with Newcastle City at the mouth. This coastal strip is about 75 kms long, generally the areas taken in are; Broken Bay, Lower Hawkesbury River, Pittwater, Ku-ring-gai Chase, Hornsby, Gosford, Wyong, Lake Macquarie and the Lower Hunter River. 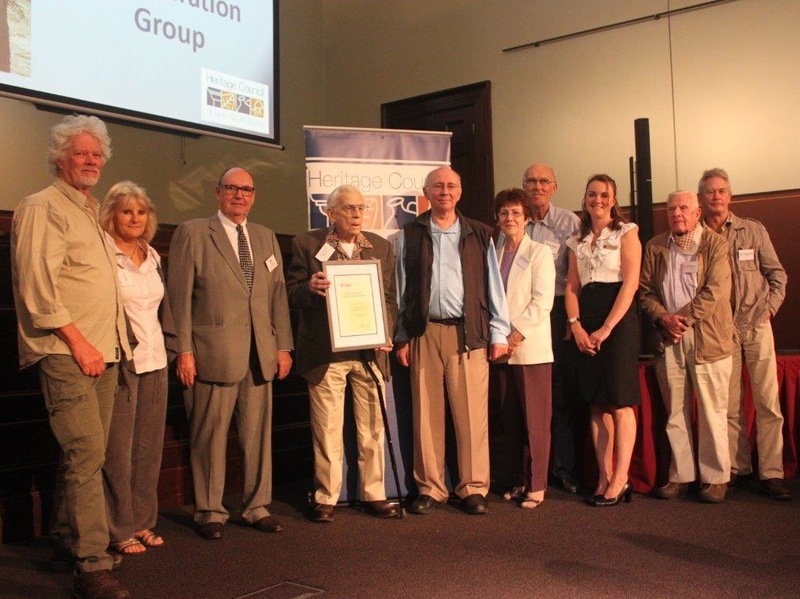 European history of the area between the Hawkesbury and Hunter Rivers goes back to the very earliest days of settlement. With evidence, via thousands of sites, of Indigenous occupation going back tens of thousands of years. Primarily the information is brought to the public by constructing displays and the website. Free Community information sessions and exhibitions are held. Our website is being continually updated and commercial History Ferry Tours are also conducted. While numerous other people, organisations and Government provide invaluable support, 4HR in reality is two people Dora and Peter Rea, Peter does the research, produces the graphics, exhibitions, scale models, dioramas and editorial, while Dora does the substantial technical, behind the scenes work as well as proof reading etc. Initially all work was financed privately by Dora and Peter, until Peter conceived the idea of conducting History Ferry Tours, (areahistorytours.com.au), displaying his work on a monitor on the ferry 'Sorrento'. These tours are budget priced and are attracting a growing number of passengers. No mainstream media advertising is done and so most of the clientele comes via social media or "word of mouth", Peter says, "I guess I must be doing something right then". After overheads, a good proportion of the profits go toward research, printing, continuing to build exhibitions, maintaining the website etc. Peter and Dora are involved in community work, Peter is a member of a local Rotary Club and as such is part of a group working on the 'Shipbuilders Memorial', a trail of memorials and information regarding the local significant shipbuilding history. He also Chairs a Rotary backed community team that organisers the annual 'Shipbuilders Heritage Walk', the first Sunday of every May.